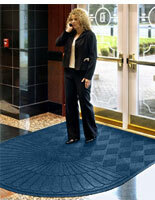 These commercial blue door mats prevent outdoor mud and contaminants from entering a home or business. 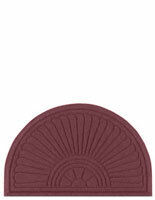 These interior rugs are anti-static rated at 1.2KV by the AATCC. 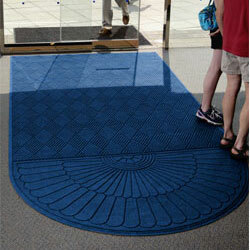 The National Floor Safety Institute has certified these blue door mats slip resistant. 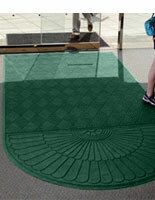 Each of these floor mats greet visitors while keeping retail store, business, even home floors dirt-free. 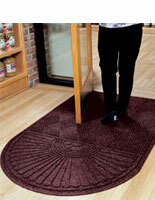 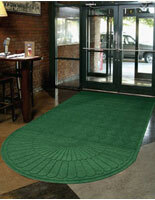 These super-absorbent door mats are constructed of polypropylene fibers and dry very fast.